I wonder if I'll ever be finished with this kit...? Well, not today. 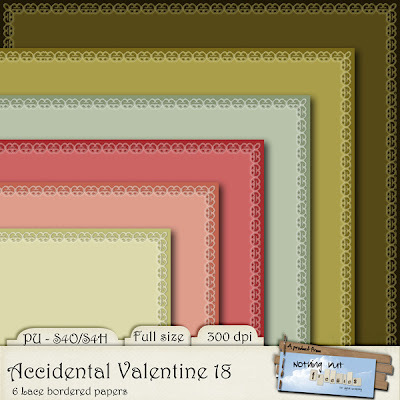 I have two more parts of it for you: One with some (funny) WordArts and one with 6 lovely lace bordered papers made with a great action by Eirene that I bought this weekend. I have a little bit left for tomorrow (or Wednesday) but I think that will be the last batch.....? Come back for it, please...? I just found your site and it is wonderful. Thank you for sharing. thank you so much for the super word art and beautiful lace paper! Thank you so much for this post. I want to let you know that I posted a link to your blog in CBH Digital Scrapbooking Freebies, under the Page 6 post on Feb. 07, 2012. Thanks again. I have just discovered your site and I just love it. I went to your gallery and saw your scrapbook layout on 9-11 and it was so MOVING. Just amazing. I also do free daily word art and I would love to feature you on my site. 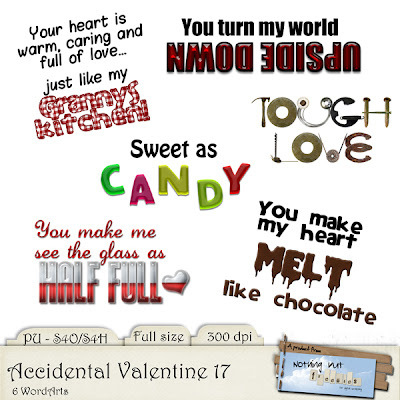 I am in the process of downloading your valentine kit elements andd would like to use it in the future. All I need is your permission to do so. When I use elements of a kit, I highlight the designer and do a blog to your site. Come and sit a spell and see my site. And consider becoming a member if you like what you see. Thank You for the Word Art and Beautiful Lacy Papers! Thanks for sharing, paper is beautiful! Thank you very much from France !